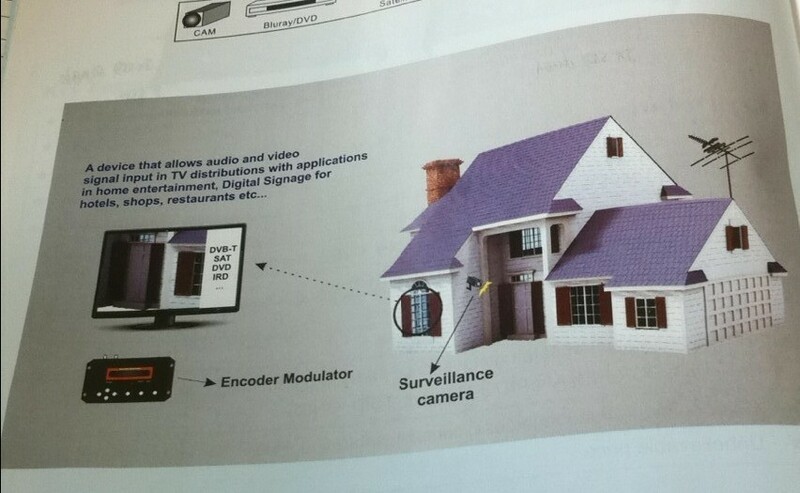 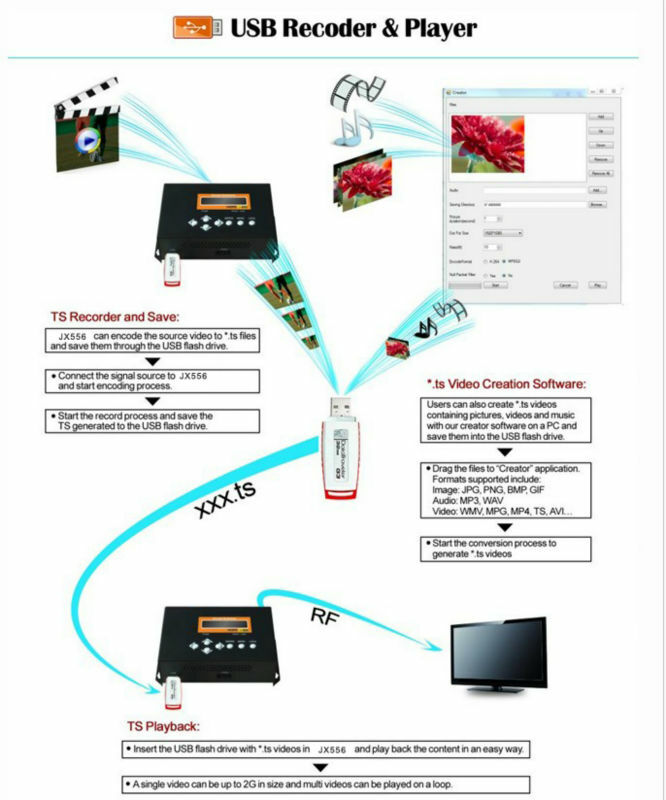 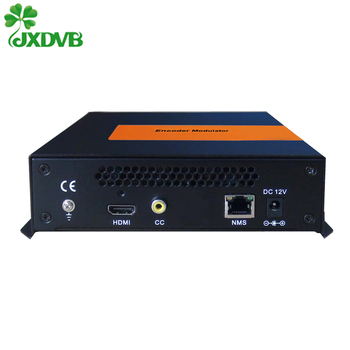 This consumer electronics allow audio/video signal input in TV distributions with applications in home entertainment, surveillance control, hotel Digital Signage, shops etc.It is an all-in-one device integrating MPEG-4 encoding and DVB-T/DVB-C/DTMB/ATSC-T/ISDB-T modulating to convert audio/video signals to DVB-T/DVB-C/DTMB/ATSC-T/ISDB-T RF out in the frequency range of 30~960MHz.The signals source could be from satellite receivers, closed-circuit television cameras, Blue-ray players, and antenna etc. 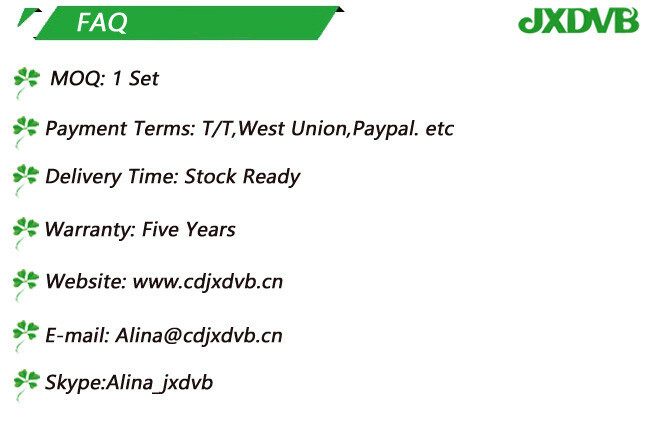 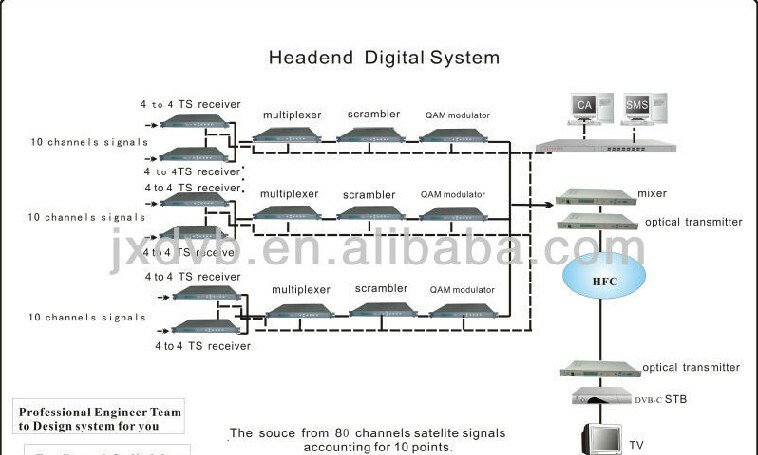 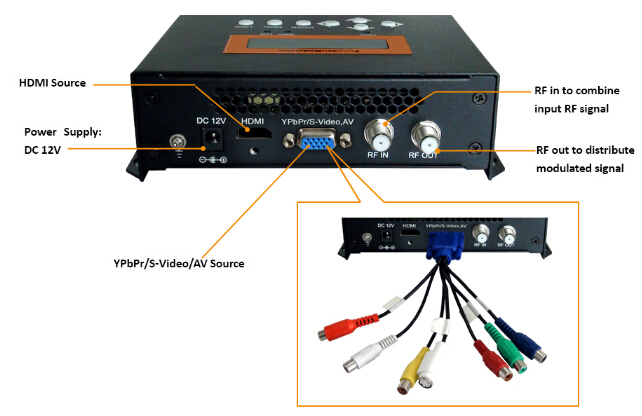 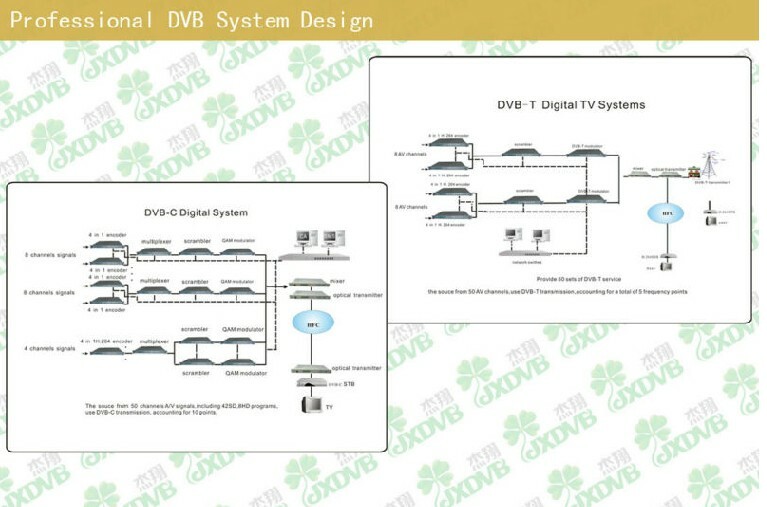 its output signal is to be received by a DVB-T/DVB-C/DTMB/ATSC-T/ISDB-T standard TV, DVB-T/DVB-C/DTMB/ATSC-T/ISDB-T STB etc. 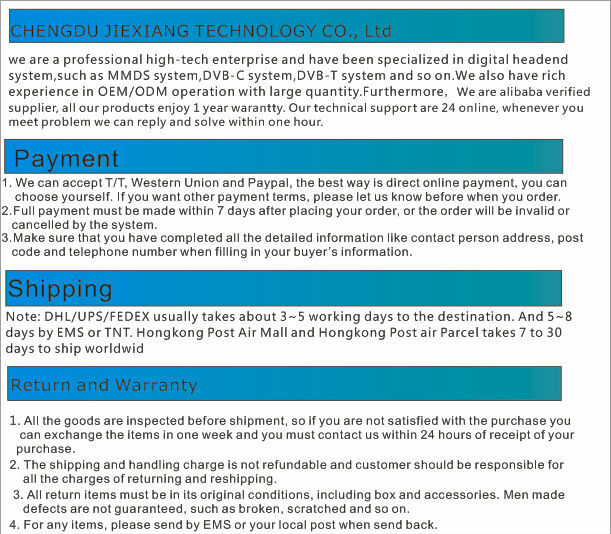 Code rate 1/2, 2/3, 3/4, 5/6, 7/8.